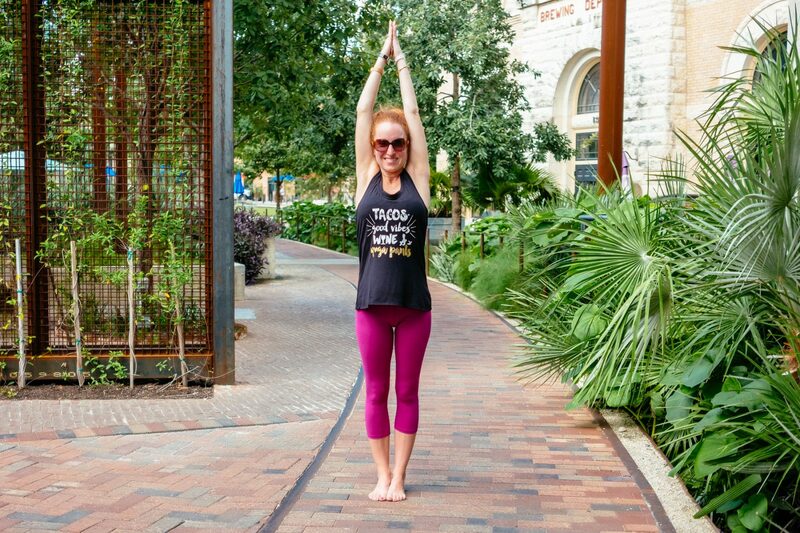 Whether you’re on the mat, in the gym, or out to brunch – YogaClub lets you look and feel amazing. 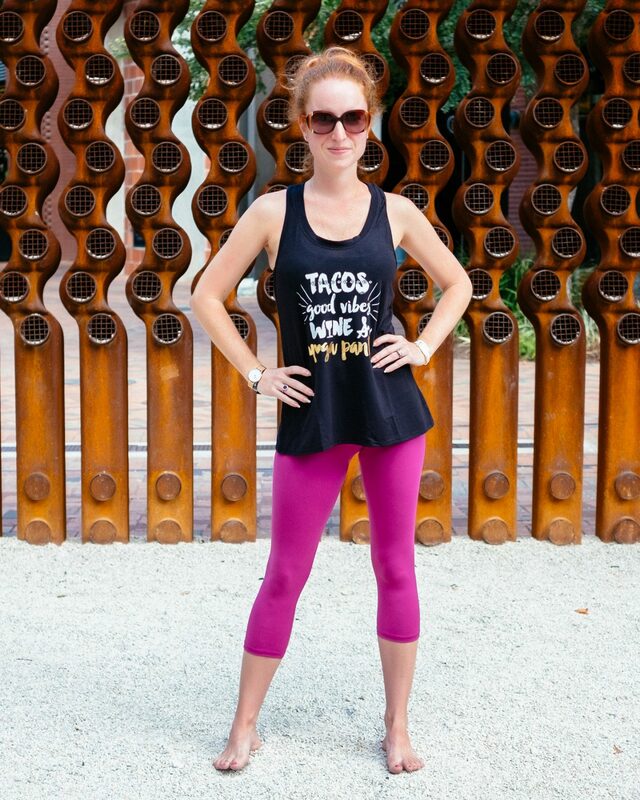 With premium brand yoga apparel that’s as comfortable to wear as it is on your budget. 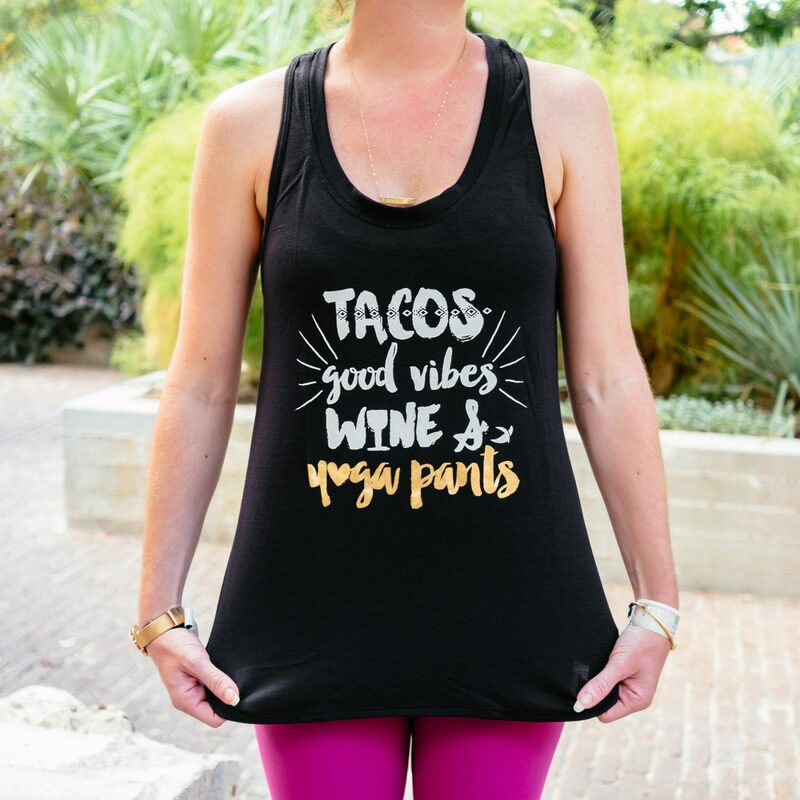 Every month, YogaClub delivers up to $160 worth of high quality, name brand yoga apparel & accessories directly to your door in a pretty box for as low as $79 / month. Yes, you read that right — every box saves you up to 60% on retail prices. Cost: starting at $79. Sign up with my link & get 20% off!!! 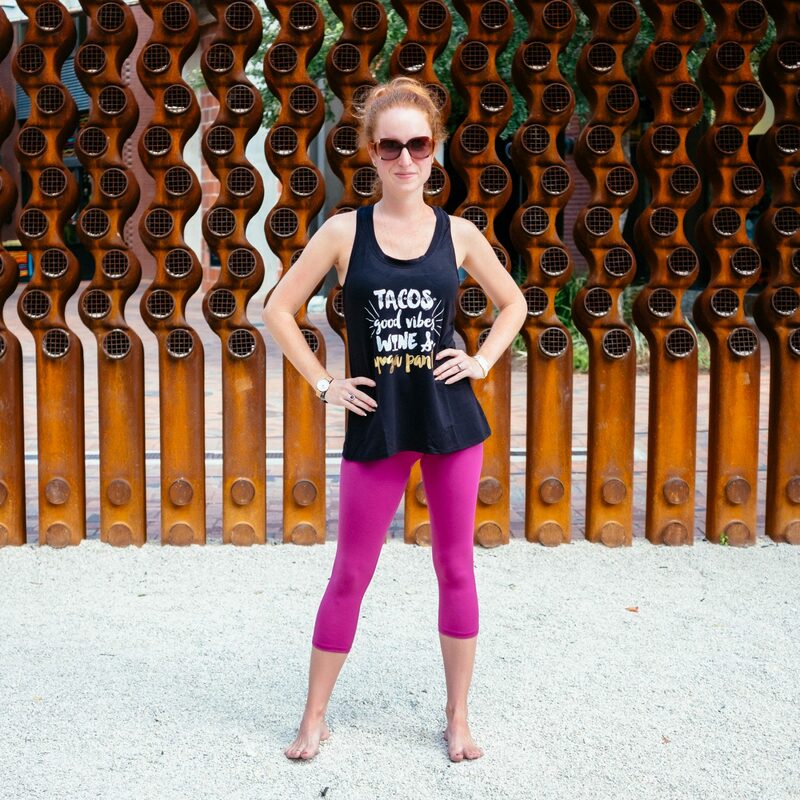 Your Personal Workout Stylist – In the words of my 6 year old daughter…BEST DAY EVER!!!! Yall, right when I thought YogaClub did everything they could do to make me 100% in love they sent me the world's most perfect tank and I have fallen even more in love! I can't wait to share all the details of my 9th yoga box. 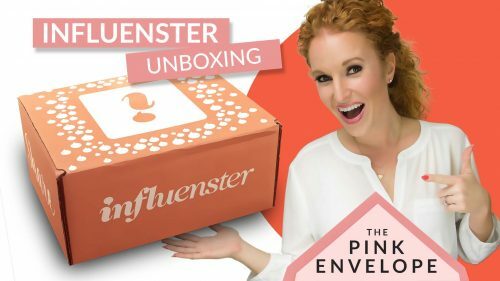 I review and have interacted with alot of subscription boxes over the last year and it is very rare to find one like this. 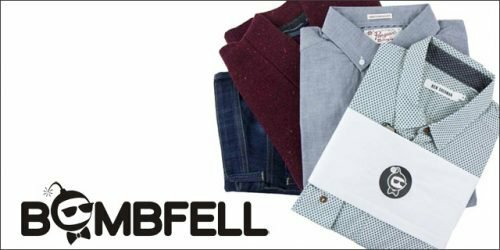 They offer fabulous brands, full curation and all shipped to you with a big discount. Curation + shipping usually cost quite a bit extra over MSRP and YogaClub actually gives it to you cheaper than you can get on your own. In this box I received the Nux In Route Sports Brain Black in size small, MSRP $53. Also a pair of Rune NYC Abby Supplex capri leggings in magenta in size small, MSRP $85. 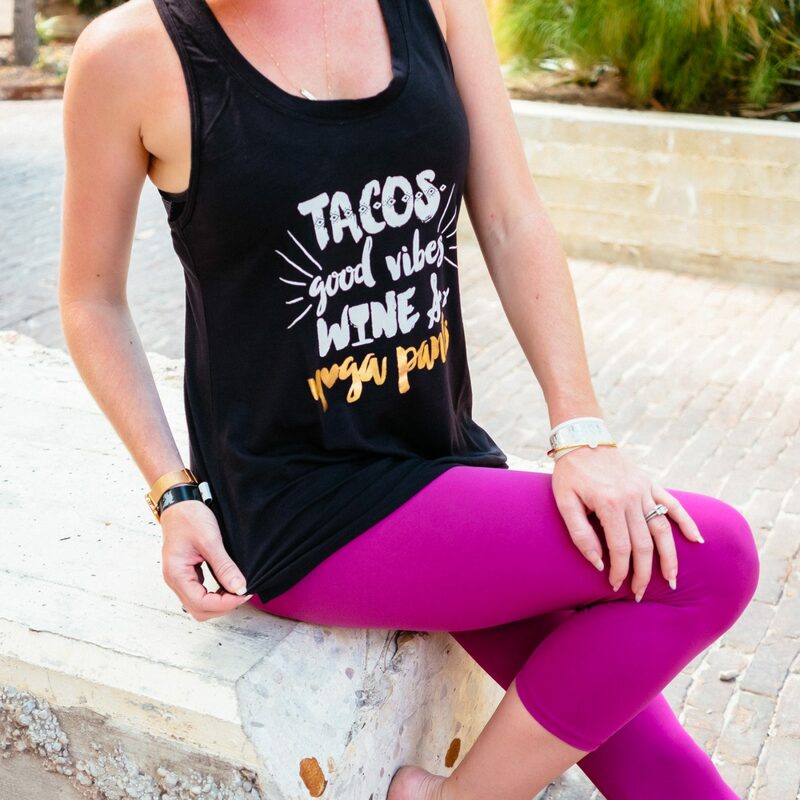 Then lastly, the best part of all…the Glyder Women's Yogini Tacos Good Vibes Tank Top in black in size small, MSRP $42. So total MSRP for the 3 items is $180 and I only paid $79….that is a $101 savings AND it was sourced for me and shipped to my door!!!!!!! Everything fits amazingly and I am already in love. The bra is very comfy and the capri pants are great but that tank, yall are going to see me in it 24/7. Yoga Clothes Sent to Your Door for the win! How do they send the product? Do we have to do something other than signing up? Can you please tell me.. They send these box via mail. 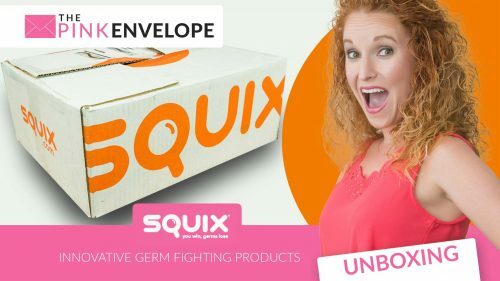 You have to sign up here on my blog, once you sign up (having my referral will help you get in faster) go to their site and start interacting by leaving reviews from products you have used before, answer questions and do surveys. They have a great mobile app too that you can do all the same things on.